Featuring filmmaker Clint Enns’ Post-Cinematic Explorations: A Few Experiments Transforming Time Into Space. Image © Clint Enns from Wavelength Without the Time (2012). Also featuring other tales of creativity, resistance and shouting out against the Trumpocracy, especially by women but their allies in struggle too. 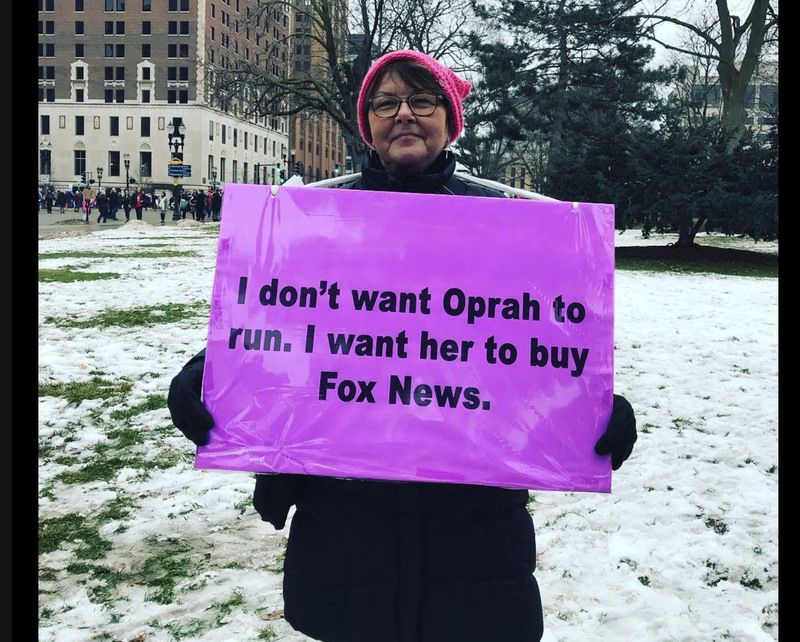 Photo © Christi Griffis, 2018Women’s March, Lansing MI.